Sales effectiveness is essential to building a business adequately. In order to do your job effectively, you need to be able to use sales best practices to close deals and win sales. As a sales professional, this is very important. Sales is a highly competitive field. If you do not do your job effectively, you will not last long. And, there is sure to be plenty of other talented sales professionals ready and willing to take your place who do not require sales training courses to succeed. Here, you will discover how to improve sales effectiveness. This way, you can win deals and close sales much more often to improve your career trajectory. First, you need to identify what sales effectiveness means to your employer. Despite how valuable sales effectiveness is, it is an ambiguous term. One business professional may have a very different definition from the business professional sitting across the room. To some, sales effectiveness has to do with revenue and profit. To others, it is all about the relationship between goals and performance. To you, it should be whatever will reinforce your company’s strategy. It should be defined by how productively you are selling products and closing deals. Determining what exactly defines sales effectiveness is essential to improving it. Since the definition of sales effectiveness is very broad, you must confirm that everyone on the sales team has the same understanding if you work in a collaborative sales environment. By ensuring that everyone is on the same page, you can ensure that everyone is working to achieve the same goals. This is not something that will typically be included in a sales representative agreement. But, it will enable you to achieve those sales goals more consistently and successfully. Be sure to maintain consistent communication going forward too. Better communication means improved sales effectiveness. Establish and nurture a relationship between yourself and your colleagues in sales and those marketing professionals that work for the company. Misunderstandings between sales leaders and marketing professionals is a common occurrence within businesses. Since sales and marketing work hand-in-hand, finding common ground between both departments is crucial. The marketing team may discover valuable information that could benefit sales. Developing a good relationship between the departments could help accelerate sales. Likewise, having an understanding of what sales effectiveness is and how marketing can play a roll in improving it is also important. Building and maintaining this relationship is a simple way to improve your sales effectiveness. As a sales leader, you must understand that your audience is the main priority. Customer success should always be your focus. Research your audience’s interests. Direct your sales tactics to respond to that audience’s joys and fears. Devise strategies that center around meeting consumer demands, problems and concerns. Effectively targeting your audience is an important step toward improving your sales effectiveness. In order to make your sales more effective, you should keep track of what does and does not work. Keep track of your closed deals and the steps taken to closing those deals. This is a necessary tool to help you continue to improve your sales effectiveness and your selling strategies overall. It is also beneficial for bolstering your career path. You can also use this track record as a way to prove your effectiveness as a sales professional. Stop using any sales tactics that are not successful. Keeping track of your closed deals can save you from wasting time and, therefore, improve your sales effectiveness quickly. The fact that sales effectiveness is important to building a sales career is understood. What is not always understood is how to improve it. You have to define the term based on your employer’s demands and concerns. Then, you must make sure that everyone is on board with that definition. Building and maintaining a close relationship between the marketing department of your business is essential. Targeting your audience effectively is a critical part of the process. Keeping track of the deals you have closed can really benefit your sales effectiveness. 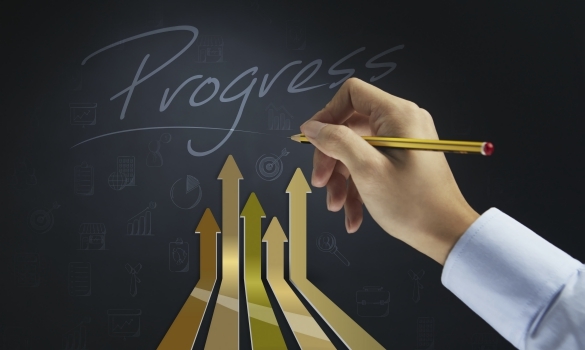 Follow these steps and you will be improving your sales effectiveness in no time.